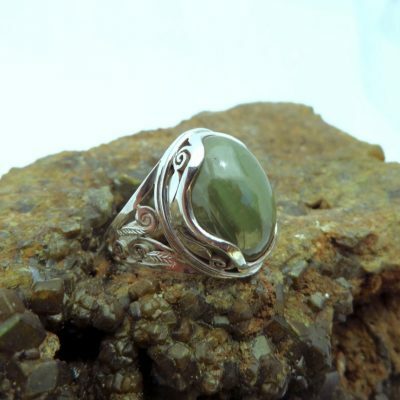 Grossular garnet is a green coloured (and sometimes orange/cinnamon coloured which is known as “Hessonite”) variety of the mineral group of garnets. We source ours locally from Mt. Garnet in North Queensland. Faceting quality is rarely found but there are translucent stones which polish into beautiful cabochons, as well as clusters of smaller formed crystals which have a gorgeous golden sheen on the surface, which we use in their natural formation in our jewellery also. Colours range from dark to light olive-green. Hardness on the Moh’s scale is 6.5 to 7. 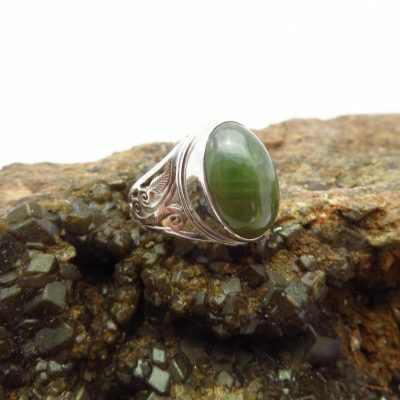 Green grossular garnet is said to be a stone of abundance and prosperity. 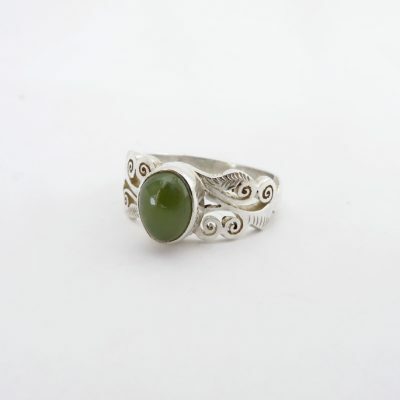 It gives inner strength and vitality, bringing healing and regeneration to body and spirit. It is very helpful in recovering from illness or trauma. It is a great stone to have around when dealing with challenges in life or legal matters. Grossular garnet can inspire motivation and confidence to work hard and bring our dreams into reality. They can help to bring us wealth and success in all aspects. They are also calming and grounding, helping us to manifest our dreams and visions into practical reality. They help us to connect to nature and release our inhibitions. They help us to see what is real and feel gratitude for what we have, and to use our strengths in positive ways. They also help us to not get carried away with emotional extremes. 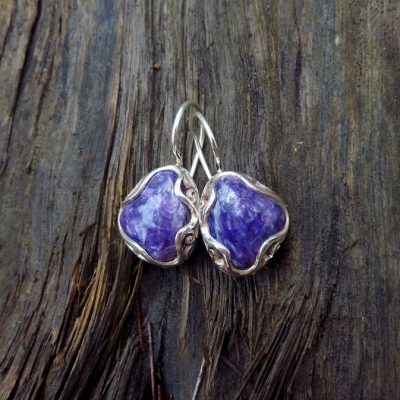 We love natural stones! 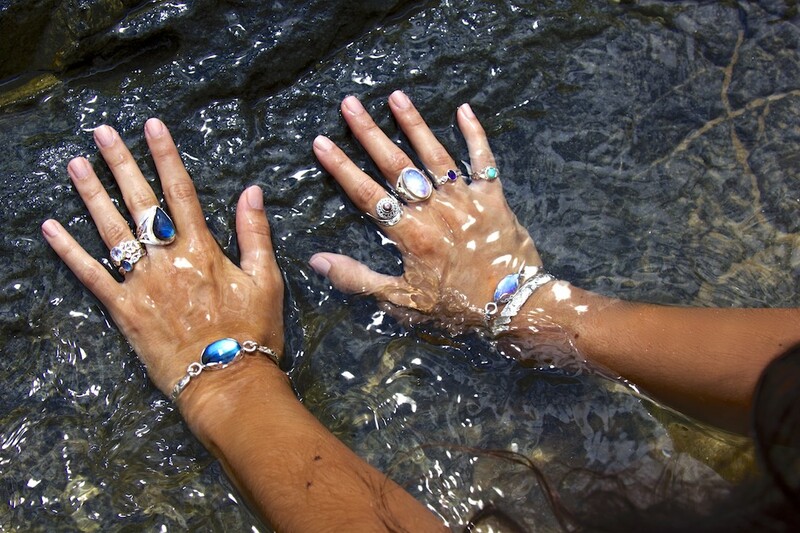 And we have seen how so many people of all ages and backgrounds are attracted to, and gain so much enjoyment from, wearing their own unique and special piece of our Earth’s incredible rock creations. 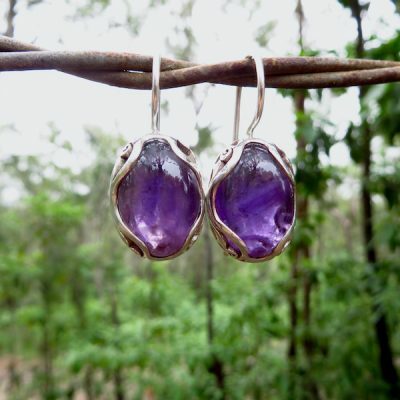 We began our work with stones and crystals by fossicking around Australia, and learning lapidary to shape and polish our stones, bringing out their natural beauty and creating wearable pieces. 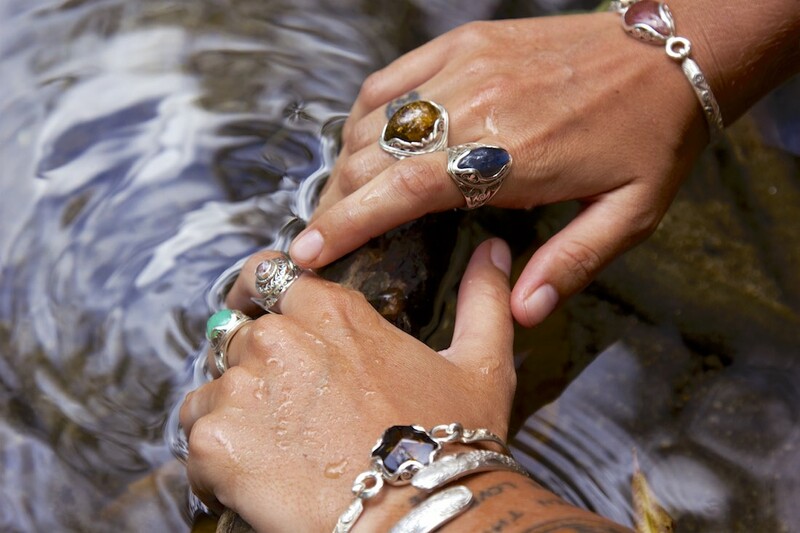 We believe in supporting environmentally and socially conscious stone collecting methods to enable people to enjoy and appreciate these special gifts from our Earth. Ozmomo is the creation of Jono and Naomi, a couple living in north Queensland, Australia. 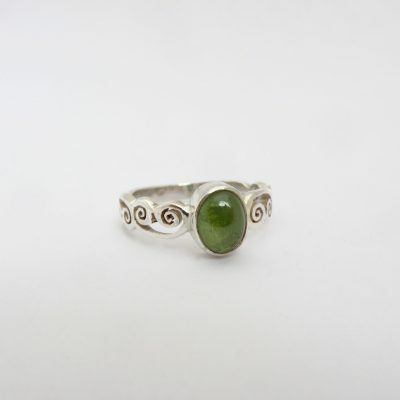 We use all natural stones and fine (98% pure) silver to create our own designs of high quality, comfortable jewellery. 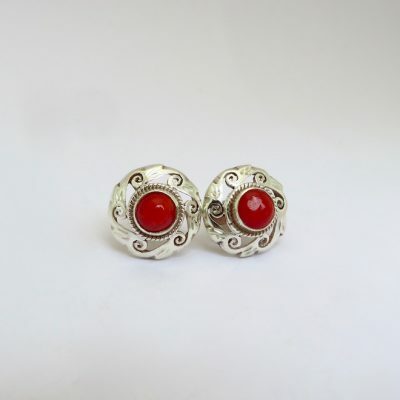 Our unique silver settings are all handmade and finely hand-carved. 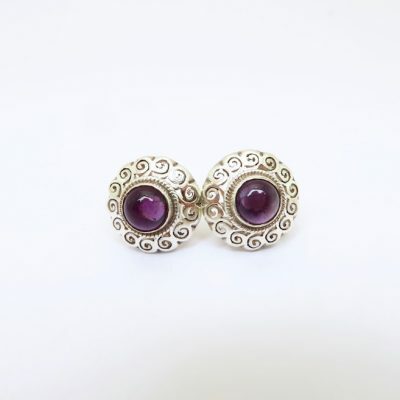 Our jewellery is all ethically made. Click here to find out more about Ozmomo. Be the first to know about new products, receive exclusive discounts and find out the latest from the world of Ozmomo.